The fifth Women’s Humanity Walk is part of the Artscape Women’s Humanity Arts Festival. 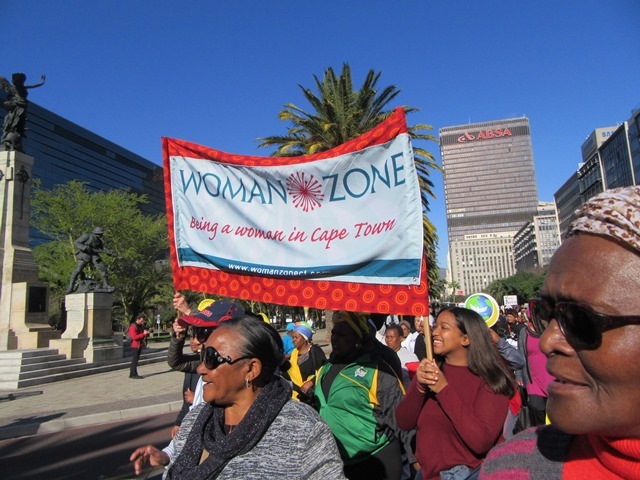 Everyone is welcome to join at 8.45am at Schotcheskloof Community Hall, Bo Kaap on Women’s Day, Thursday, August 9, when once again Woman Zone participates in the popular Artscape Women’s Humanity Arts Festival, which kicked off on Wednesday, August 1, and will be running until to Saturday, August 18. From the beginning of August, Women’s Month, celebrations will take the form of Walks and thought provoking Story Café’s, offering opportunities for debate, discussion, networking and connecting. So diarise the dates below to make sure you don’t miss any of them. Make sure especially to join in on the annual August 9 Women’s Humanity Walk where the theme is ‘Uniting Cape Town in Faith’. Everyone – women, children and men – is invited to walk from the Schotschekloof Community Hall down to Artscape where Women’s Day celebrations will be in full swing. Interactive panel discussion about what a woman’s faith means to her and how it impacts her life. Speakers: Jasmine Khan, Renathe Benade and Nolubabalo Rani, facilitated by Beryl Eichenberger. 5.30pm to 7pm, Woman’s Library (ground floor Artscape next to box office). Interactive panel discussion about how a woman manages her different ability and how it impacts her life. Speakers: Karen Smit (WAND), Qaqamba Cuba and Kauthar Salie (RADIO RX), facilitated by disability activist Hillary Lane. Bringing together women, men and children from all parts of the City and surrounds, this is an opportunity to make friends with someone you don’t know, learn a little about them and get some exercise at the same time. Starting at Schotschekloof Community Hall, the Walk will be blessed by women faith leaders before proceeding down to Artscape where a full programme of Women’s Day events will be in full swing. CEO of Artscape, Marlene le Roux will head up the procession in a side car and motorbike driven by a women driver, kindly facilitated by Cape Sidecar Adventures. Meet at the Schotschekloof Hall, Corner Wale and Yusuf Street, Bo Kaap at 8.45am and Walk will commence after the blessings at about 9.45am. The Wire Woman statue is to be temporarily on display and dressed in yoyo’s from the ongoing Everywoman Project. For this period only she will be known as The Everywoman Yoyo Queen. * For more information, send an email to info@womanzonect.co.za; or call 083 431 9986, or 082 490 6652.